Sodium hydrogen carbonate, otherwise known as sodium bicarbonate or baking soda, is an antacid used to relieve heartburn and acid indigestion. In some cases, sodium hydrogen carbonate is used to make the blood or urine less acidic. Sodium hydrogen carbonate comes in oral tablet or powder preparations. When used as an antacid, this medication is taken one to two hours before meals, approximately one to four times daily. Taking sodium hydrogen carbonate may pose several hazards. Hypernatremia, or an increased sodium level in the body, is one of the possible hazards of taking sodium hydrogen carbonate. Hypernatremia is a condition wherein the sodium level in the blood exceeds 145mM. Hypernatremia develops when the body is dehydrated or when water intake is insufficient. With too much sodium in the body, you can manifest dry mucus membranes, agitation and restlessness. When sodium levels become extremely high, you may have convulsions and coma. If you are on a sodium-restricted diet, or if you are a child younger than 12, take sodium hydrogen carbonate cautiously to prevent sodium electrolyte imbalances. One of the hazards of taking sodium hydrogen carbonate or sodium bicarbonate is overdose. 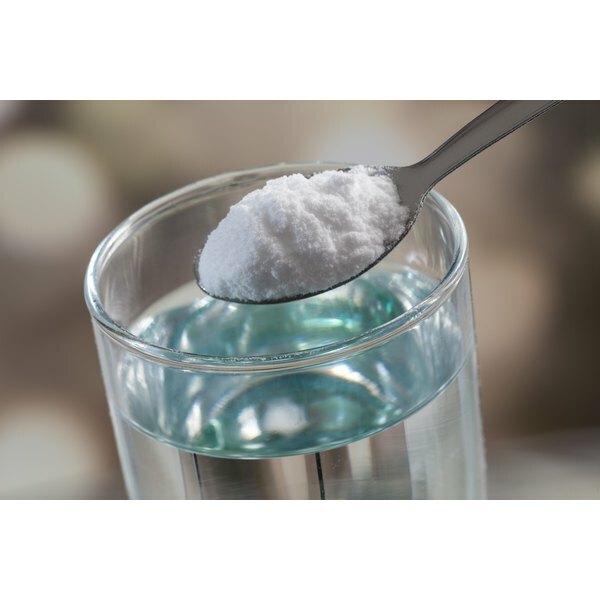 Sodium bicarbonate is nontoxic, but the consumption of large amounts of this material, which is found in supplements or baking powder and baking soda, can cause poisoning. The initial symptoms of sodium bicarbonate overdose include nausea, abdominal pain, vomiting and diarrhea. Drinking milk or water is a form of immediate intervention. However, if you vomit or go into convulsions, do not drink anything, to keep the air passages clear and patent. High blood pressure or hypertension can occur as a possible hazard of sodium hydrogen carbonate use. A blood pressure reading above 140/90 mmHg damages the arteries, veins and blood vessels. High blood pressure increases the risk for kidney failure, stroke and heart disease. Sodium can contribute to hypertension by increasing blood volume. Sodium has properties that attract water and retain it in the body. Sodium limits for adults should not exceed 2,300 mg per day.